Size: approx. 10 mm. Photo: 07/12/15, 10 pm. Amazing colors! 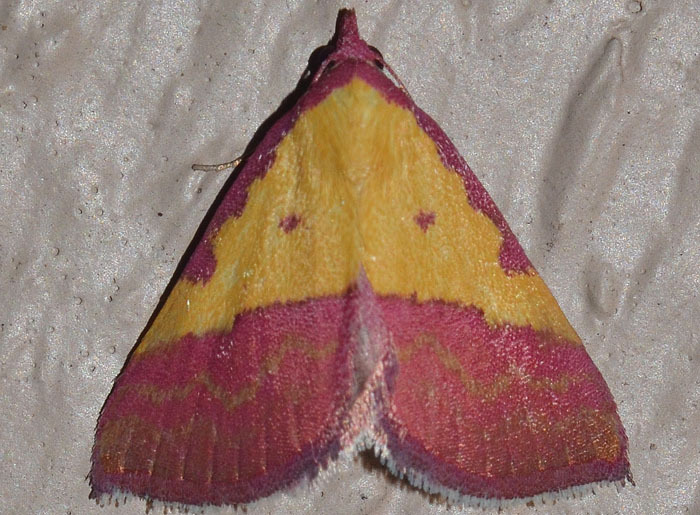 The forewings of this small moth are yellow and pink. The moth also has thin pink (essentially red) bands near its head.